Tasting Note: Deep gold colour. 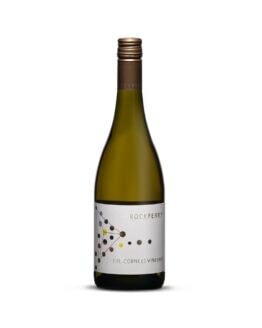 Complex citrus and stone fruit aromas with a hint of freshly bailed hay on the nose. A gorgeous creamy texture in the mouth. Fresh lemon zest and dried apricots combine with more complex spicy mandarin and orange flavours followed by a balanced acidity with hints of orange peel and grapefruit pith phenolics. Winemaking Notes: Grapes were hand-picked from the Eastern section of the vineyard, which due to bonier, dustier soils and more wind exposure produces smaller, riper berries and lower yields. De-stemmed without crushing, fermented at cool temperatures with indigenous yeast. Two weeks on skins, pressed off through a traditional basket press, fermentation finished off skins to ensure minimal oxidation. Extensive lees contact over six months to develop the characteristic texture before being prepared for bottling. Unfined, minimal filtration.